"What creativity?" I get the urge to ask but I don�t. Instead, I ask them what they think is the reason for getting only "bad ideas." Most managers realize that it does not have to do with the intelligence of their employees. There�s something else missing: clear expectations of how everyone can contribute to the development of the business. My definition of an improvement is a solved problem, and my definition of a problem is the gap between where you are and where you want to be. A "bad improvement idea" is a sign of poor knowledge about how someone in his or her role can help the company achieve its objectives. And who is responsible for breaking down and creating commitment to the objectives of a company? "Even if I rejected half I wouldn�t have the time. If all my colleagues gave me one improvement idea at every meeting, all my time would be consumed by trying to understand their suggestions and deciding on which ones to implement." This objection confirms that I have come to an organization where managers are the bottlenecks in the improvement process. "It�s your colleagues who should make the decisions, not you," I explain. I also clarify that a high-performing improvement process is driven by all employees of the organization. Instead of making decisions in matters where the employees themselves are better suited, the manager should act as a coach and make sure everyone knows where they are headed, support those who have a hard time advancing and visualize progress to increase motivation. While I appreciate the objections turning into questions, I feel the penny should have dropped by now. "Well, wouldn�t that be great!" I usually respond. The manager doesn�t agree. Then I explain that the only difference from before would be that stupid decisions and people exceeding their authority are now coming to the manager�s attention. Now you will be able to see where there�s a need for leadership, where there�s a need to clarify the priorities of the business, and in which situations the expertise of certain persons should be sought. In other words, you know that your leadership has been successful when your colleagues tell you about valuable and already implemented improvement ideas at your meetings. "But you said that you know I don�t have much time. How can you expect me to have the time to break down and communicate objectives, support those who don�t move forward, visualize progress and clarify roles and responsibilities?" "What else should you do? Isn�t that precisely the job of the manager?" To start working with continuous improvement is like gradually revealing the need for leadership in an organization. The fact that the improvement potential of your leadership becomes visible can be interpreted in two ways � as a painful truth that you continue to deny or as an opportunity to grow as an individual and organization. 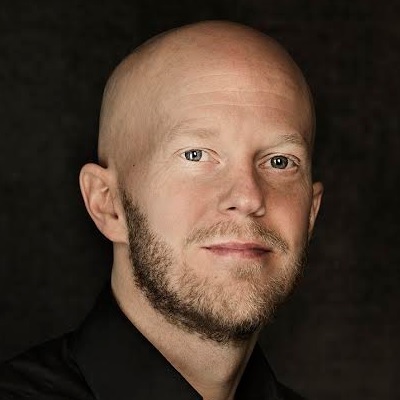 Joakim Ahlstr�m is a leading continuous improvement authority. Head of Consulting at C2 Management, he has helped many companies across the globe to achieve high performance through a continuous improvement culture. His book, How to Succeed with Continuous Improvement is available at Amazon. For more information, visit http://www.SucceedwithCI.com. Ahlstr�m, J., "Are Your Managers Bottlenecks in Your Improvement Process? ", DSSResources.COM, 03/10/2015. Anita Bihovsky provided permission to post this article at DSSResources.com by email. This article was posted at DSSResources.COM on March 10, 2015.